Is It Okay for Your Old Brick to be Covered in Ivy? There are different varieties of ivy that use different techniques for climbing walls. Self-clinging climbers such as Boston ivy and Virginia creeper grow twisting tendrils that wrap around items and do not usually cause damage to wall surfaces. However, common or English ivy supports itself by aerial roots and where these roots dig into cracks or joints they may cause structural damage. Brick homes that were built before 1930 used lime-based mortar which is softer than modern cement, making them particularly vulnerable to damage. Ivy's aerial roots dig deep into brick and can actually grow through the brick and mortar. Those roots will work their ways into cracks and tend to break up the bricking at the mortar joints. Also, water can penetrate into the tiny cracks that have been formed by these roots, causing even further damage, especially in geographical areas that experience a freeze-thaw cycle. Unfortunately, if the structure is covered with ivy or vines, you may not notice it. Removal of ivy rooted into masonry is difficult, and you risk further loosening of the masonry in the process. 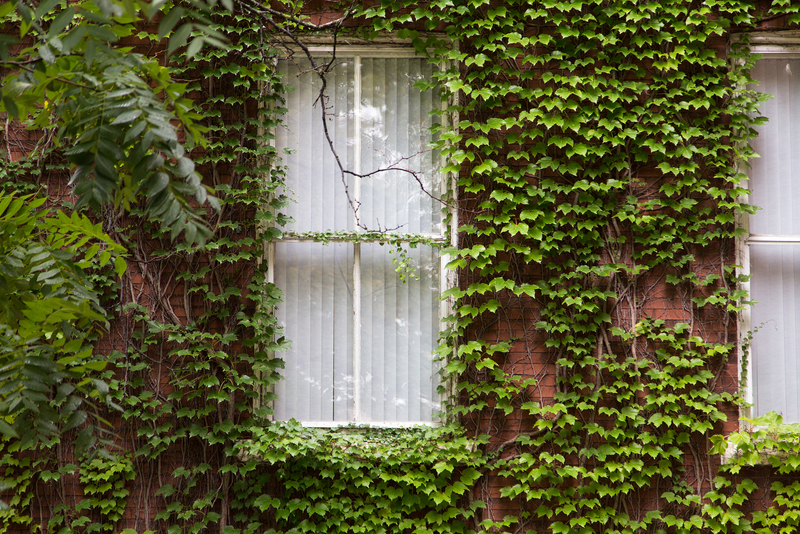 Sometimes, removing ivy not only reveals possible damage but can also cause damage during the removal process. There are various reasons for removing ivy from brick walls. For owners of old brick homes, the concern is damage to mortar joints. If you see cracks, crumbling mortar or loose bricks, you should contact a masonry contractor with expertise in residential exterior tuckpointing of historic brick buildings. The initial inspection will determine the extent of the damage and whether the ivy should be removed to facilitate tuckpointing, the repair process. Some owners decide to have the ivy removed to prevent long-term damage to the brick facades. Renaissance Development, a leader in brick restoration and historic preservation, specializes in the restoration of a historic brick building’s mortar joints using traditional methods (tuckpointing) and materials. Contact us for a free site visit and project quote.